Belgium’s Vjojo Mag just wrapped up their review of the Kona Libre and they were thrilled with the versatility of the bike. To read the full review and check out their gorgeous photoset (that purple just never gets old) please head on over to VojoMag! Find out more about the Libre here. Having a husband who obsesses over every aspect of every single bike build is always going to result in a cool bike and despite only subtle upgrades, Deirdre’s cute little 46cm Libre is no exception. Deirdre has somewhat of a lighter touch than her husband and to that end, she has left the Ultegra drivetrain and brakes in place, but she’s swapped out the wheels and tires as well as tweaking a few of the key contact points on the bike. How about those hoops? The wheels are Reynolds Assault ATR 650b wheels. The deep profile and stealthy appearance look so good paired with the Libre’s epic paint job. The 650b carbon Assault ATR’s feature a 23mm internal width and the whole wheelset weighs in at 1615grams. The Reynolds Allroads hub is CNC and engages every 10 degrees, that’s 36 points of engagement. The cockpit has been swapped out for Easton’s EA70 AX bar and a Race Face stem. The Thomson elite seatpost and Fizik Vesta seat round out the subtle build. Bike Rumor‘s Zach Overholt is about to set off on a final bike packing trip to give their Libre test bike one last through shakedown before he posts his thoughts before Christmas. So it seems like the perfect time to get reacquainted with the Libre via Bike Rumor’s original first look post from back in August. You can check it out here and we’ll be sure to let you know when Zach posts his final impressions. Logan Watts at Backpacking.com has been putting a whole bunch of time on our new multi-surface and super capable light touring bike, the Libre DL. In typical BikePacking.com fashion, he has gone pretty darn deep with this review and tested the bike in multiple configurations and on varying terrain ranging from smooth gravel to full-blown MTB trails. Cycling Weekly have just posted up their first impressions of our new Libre multi-surface bike after returning from our European launch in Maderia. After their initial first few days on the bike, it seems they have nothing but praise. Head to their website here to check out the in-depth write up in full. Tom Hill from Grit.CX has just returned from a few days on the Portuguese island of Madeira where he was taking part in our intimate European Kona gravel launch. 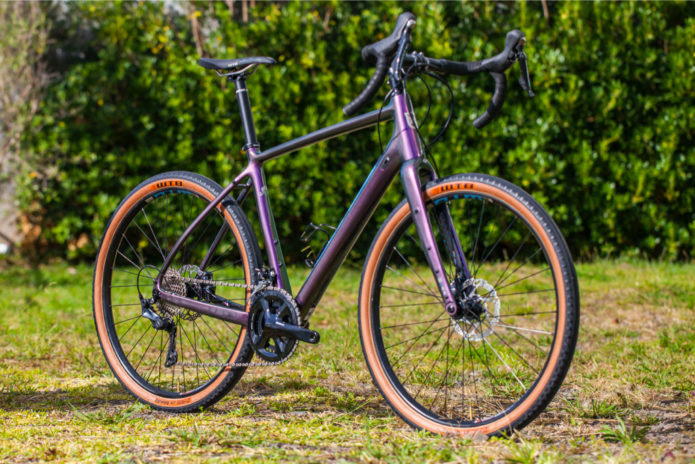 The launch focused on our new Libre line of multi-surface drop bar bikes, as well as our 2019 Roves and Sutras. He’s just posted part one of Grit’s three-part series covering the trip, as well as his first impressions of the 2019 Rove Ltd. Head over to Grit.CX to check out the story in full. The crew at Cyclocross Magazine stopped by our Sea Otter booth to check out the newly-announced Libre. They call it a gravel bike with a mountain bike feel. We couldn’t agree more! Check out their detailed look, here!